We use Twitter to keep you updates with our roofing news and updates. 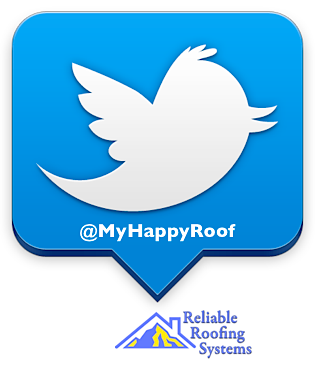 Follow @MyHappyRoof. We are a locally owned business and we provide reliable roof repair you can count on throughout Colorado Springs, Pueblo, Woodland Park, and Divide . When your roof needs to be repaired, you know who to call. We can be reached at 719-576-6300. Get a free cost estimate from Reliable Roofing in Colorado Springs.